A pre-emergent by any other name would still only prevent grassy weeds. If I had a nickel for every time I’ve heard a customer erroneously say, “I want to make sure you get my pre-emergent down so I don’t get any dandelions,” I would have something like 100 dollars. I lost count somewhere around one thousand nine hundred and forty two times in 2004. My point is that I am going to quit calling the material we apply twice in the spring a pre-emergent. From this day forward it shall be called Grassy Weed Preventer or GWP for short. The confusion sets in. As a lawn industry, we have confused our customers. The vast majority of you believe that a pre-emergent application will prevent broadleaf weeds like dandelions, clover and henbit. However, it does not! Pre-emergents ONLY prevent grassy weeds like crabgrass and foxtail. Hence my christening of the new name – Grassy Weed Preventer! 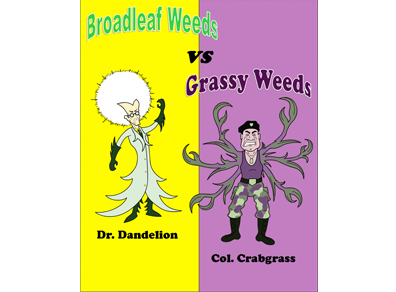 So, what is the difference between a broadleaf weed and a grassy weed? I am soooo glad you ask. Here we go! I could get super technical and break down the differences between monocots (grassy weeds) and dicots (broadleaf weeds), but I will keep it simple. Broadleaf weeds are typically the plants in your lawn that look like flowers. 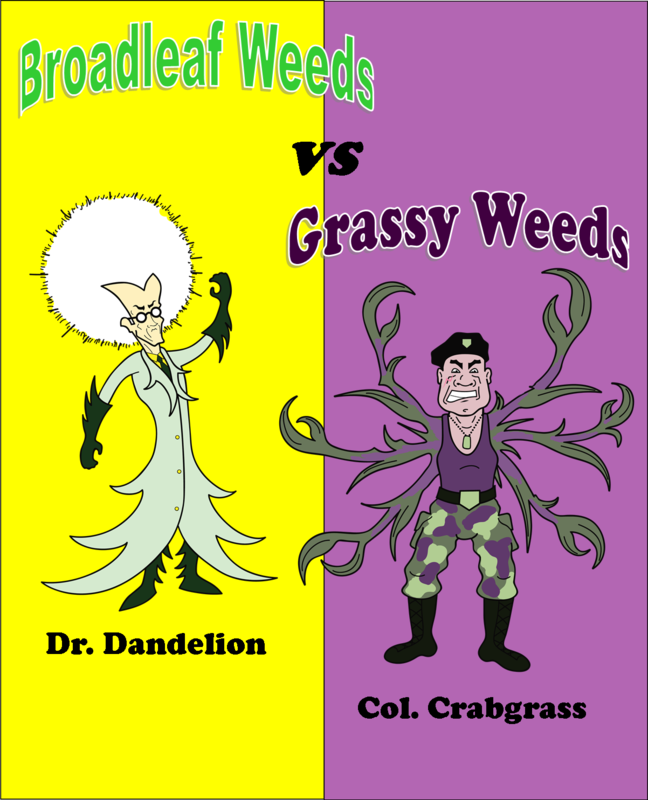 Dandelions, chickweed, henbit and clover would be examples of broadleaf weeds. Grassy weeds are plants that look more like your turf grass. They do not have showy flowers and their leaf shapes are very similar among species. Crabgrass, foxtail, orchardgrass and Johnsongrass are all grassy weeds. Here is where I believe some of the confusion comes. 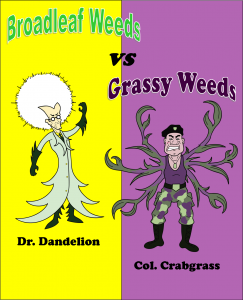 Many times people will look at a weed like crabgrass or Johnsongrass and mistakenly call it a “broadleaf weed” because compared to their turf grass the blades are wider. So they inaccurately call it a broadleaf weed. Why is this important? The reason I am explaining all of this to you is because Grassy Weed Preventer (formally known as Pre-emergent) does a great job of preventing grassy weeds like crabgrass and foxtail. Grassy Weed Preventer DOES NOT and I repeat DOES NOT prevent broadleaf weeds like dandelions! Then how do you prevent broadleaf weeds? The short answer is, we don’t! While the GWP may suppress a few broadleaf weeds, it does not prevent them. THERE IS NO CHEMICAL WAY TO PREVENT BROADLEAF WEEDS IN YOUR LAWN. The best way to prevent broadleaf weeds is to keep your lawn thick and healthy. If your lawn is thick and healthy there will be less room for broadleaf weeds to germinate and grow. Of course, a dandelion or some henbit is going to pop up in even the thickest and healthiest of lawns. Then the only way to get rid of it is to use a broadleaf weed control. Or, if you only have a few weeds, you can always pull them up. Killing your cousin? It is important to apply a Grassy Weed Preventer (again formally known as pre-emergent) because if a grassy weed like crabgrass or goose grass germinates and comes up in your lawn, it is DIFFICULT to kill. Most broadleaf weeds are pretty easy to knock out with a broadleaf weed control. However, grassy weeds are genetically very similar to your good turf grasses like fescue and bluegrass. You might even say they are cousins. I like to say that killing crabgrass without hurting your good turf grass is like trying to develop a potion that both you and your cousin can drink, but it will only kill your cousin. It is way easier to prevent grassy weeds than it is to control them after they emerge. Some more unnecessary Shakespeare references for you. 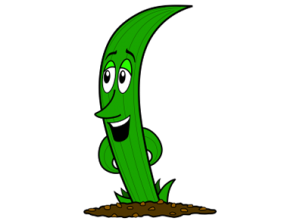 Hamlet once said, “There is nothing either good or bad, but thinking makes it so.” I may be mistaken, but I believe Hamlet was trying to say that any plant growing in an unwanted area is a weed. At Classic Lawns we believe all plants are beautiful as long as they are growing where we want them to grow! Click HERE to read more Cary’s Corners!